Play with these adorable Hatchimals in-egg using their rattle and blanket! Wow the egg really moves! 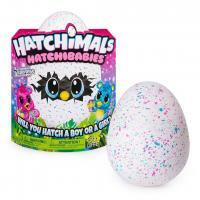 Help them to hatch and find out if yours is a boy or a girl! Care for them using the surprise accessories from inside their eggs! 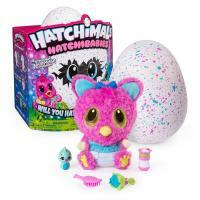 Includes: 1 Hatchimals HatchiBabies Egg, 1 Instruction Sheet, 1 Cheat Guide. Hatchimals HatchiBabies are magical creatures hidden inside speckled eggs. Care for them in their eggs and they’ll really hatch! 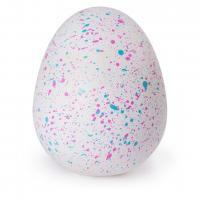 Will YOU hatch a boy or a girl!